controversy with his description of patients with persistent complaints after mild head and neck injury due to "molecular disarrangement" of the spinal cord. This condition was known as railway spine because many cases were the result of railway accidents. Rigler introduced the concept of compensation neurosis in 1879, because he believed that many persons with persistent symptoms were trying to obtain financial compensation for the injuries. Charcot believed that the impairment was actually the result of hysteria and neurasthenia. Similar debates about the organicity of persistent complaints after mild head injury are still common today, especially in medicolegal cases. The use of the term postconcussion syndrome dates back to 1934. Pathogenesis and Pathophysiology. Mild head injury may result in cortical contusions due to coup and contrecoup injuries and diffuse axonal injury resulting from sheer and tensile strain damage. Subdural and epidural hematomas can also occasionally result. Release of excitatory neurotransmitters including acetylcholine, glutamate, and aspartate may be a neurochemical substrate for mild head injury. Clinical Features and Associated Disorders. The postconcussion syndrome, which is usually the result of mild head trauma, comprises one or more of a large array of symptoms and signs (,Jab|.§,,51:4 ). [33J The most common complaints are headaches, dizziness, fatigue, irritability, anxiety, insomnia, loss of concentration and memory, and noise sensitivity. Loss of consciousness does not have to occur for the postconcussion syndrome to develop. Headaches have been estimated to occur in 30 to 90 percent of patients who are symptomatic after mild injury. Headaches may occur more often and with longer duration in patients with mild rather than severe head injury. Tension-type headaches account for about 85 percent of all post-traumatic headaches. Neck injuries, which often occur at the time of the head injury, may cause referred headaches due to myofascial, intervertebral disc, and facet joint injury. Greater occipital neuralgia may occur from a direct blow to the nerve or may be associated with muscle spasm of the superior trapezius and semispinalis capitis muscles in the suboccipital region. Similar headaches may arise from the C2-C3 facet joint, which are known as third occipital headaches. Temporomandibular joint injury may also cause tension-type headaches. Modified from Evans RW: Post-concussion syndrome. In Evans RW, Baskin DS, Yatsu FM (eds): Prognosis of Neurological Disorders. New York, Oxford University Press, 1992.
may be triggered multiple times after additional mild head injury and has been termed footballer's migraine. Cluster headaches can rarely develop after mild head injury. Various other less common causes of post-traumatic headaches are found, including supraorbital and infraorbital neuralgia, dysesthesias over scalp lacerations, carotid or vertebral artery dissections, and subdural and epidural hematomas (see T§bJei51-1 . Subdural hematomas can result in headaches that are nonspecific and that can be mild to severe, paroxysmal or constant, and bilateral or unilateral. half of patients after mild head injuries report dizziness, which can be caused by various types of central and peripheral pathology including labyrinthine concussion, benign positional vertigo, and brain stem injury. Blurred vision, reported by 14 percent of patients, is usually caused by convergence insufficiency. Blurred vision is occasionally the result of III, IV, and VI cranial nerve palsies. Decreased smell and taste are reported by 5 percent of patients after mild head injury; the symptoms can be due to damage to the olfactory filaments. Approximately 10 percent of patients describe light and noise sensitivity after mild head injury. Nonspecific psychological symptoms such as personality change, irritability, anxiety, and depression are reported by over one half of patients within 3 months of mild head injury. Fatigue and disruption of sleep patterns are also often reported. Post-traumatic stress disorder, which has many symptoms similar to those of the postconcussion syndrome, may occur after mild head injury. Four weeks after a mild head injury, 20 percent of patients complain of impaired memory and concentration. Neuropsychological testing has documented cognitive impairments including a reduction in information processing speed, attention, reaction time, and memory for new information. Differential Diagnosis. The incidence of complications that require neurosurgical consultation after mild head injury has been estimated to be between 1 and 3 percent. For adults with mild head injury and an initial GCS score of 13 to 15, the incidence of subdural hematomas is approximately 1 percent and epidural hematomas about 0.5 percent. Evaluation. Single-photon emission computed tomography (SPECT) and positron emission tomography (PET) scans, brain stem auditory evoked potential studies, and brain mapping currently lack adequate sensitivity and specificity to justify use in the evaluation of the postconcussion syndrome. Electroencephalogram (EEG) studies are usually not indicated except for evaluating post-traumatic seizure disorders. Neuropsychological testing can be quite useful for the evaluation of patients with persistent cognitive complaints. Management. Treatment should be individualized after the patient's particular problems are diagnosed. 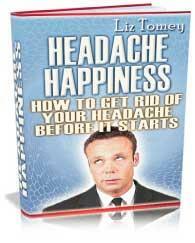 Tension- and migraine-type headaches can be treated with the usual prophylactic and symptomatic medications. Greater occipital neuralgia may improve with local anesthetic nerve blocks, which can be combined with an injectable corticosteroid. Physical therapy and transcutaneous electrical nerve stimulators (TENS units) may also help tension-type headaches. For patients with cognitive difficulties, the efficacy of cognitive retraining has not yet been established by prospective studies. Patients with prominent psychological symptoms may benefit from supportive psychotherapy and use of antidepressant and antianxiety-type medications. Simple reassurance is often the major treatment because most patients improve after 3 months. One of the most important roles for the physician is education of the patient and family members, other physicians, and, when appropriate, employers, attorneys, and representatives of insurance companies. Prognosis and Future Perspectives. The probability of having persistent symptoms and neuropsychological deficits is the same whether a patient is only dazed or loses consciousness for less than 1 hour. Persistent symptoms occur more often in women than men, in patients over the age of 40 years, and in those with a prior history of head trauma. Two years after the injury, about 20 percent of patients still complain of headaches. Cognitive deficits usually resolve within 3 months after the injury, although a small minority of patients report persistent problems for months or years. When patients have unusual or persistent complaints, the possible contributions of personality disorders, psychosocial problems, or secondary gain should be considered. A compensation case or lawsuit is often filed in circumstances in which another party may be responsible for the head injury, such as a motor vehicle accident or on-the-job injury. In this circumstance, when patients have persistent complaints, many physicians are appropriately concerned about compensation neurosis or malingering being the cause. Patients with claims, however, have similar symptoms that improve with time and similar cognitive test results as those without claims. For many claimants, the end of litigation does not mean the end of symptoms or return to work. They are not cured by a verdict.